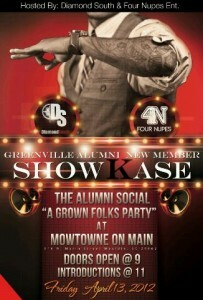 Social | The Greenville (SC) Alumni Chapter of Kappa Alpha Psi Fraternity, Inc. 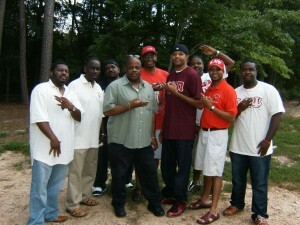 The Greenville (SC) Alumni Chapter of Kappa Alpha Psi Fraternity, Inc. 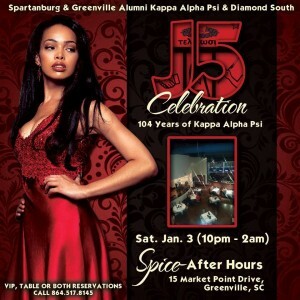 The Alumni Chapters of the Greenville (S.C.) Kappas, Spartanburg Kappa’s & Diamond South Events are asking you to join us in celebration of the 104th Anniversary of Kappa Alpha Psi Fraternity, Inc.
*VIP Booths (seats up to 5) are available. *VIP Premium Accomodations (Upstairs With Overhead View of the Venue) are also available. Get there early: 10 – 2am (All Ladies & Members of Kappa Alpha Psi are only $5 til 11pm. This is YEAR #5 of this amazing event & we always have a great turn out & everyone is always 100% Camera Ready so please bring your A-Game. There is always great representation from our NPHC family so thank you in advance to the ladies of Alpha Kappa Alpha, Delta Sigma Theta, Sigma Gamma Rho & Zeta Phi Beta. We always party with our brothers so we are ready to see the Alphas, Omegas, Sigmas & Iotas in the place ready to party as well. 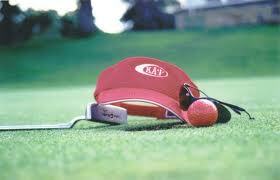 On June 7, 2014 the Greenville (S.C.) Alumni is Calling ALL Brothers of Kappa Alpha Psi! 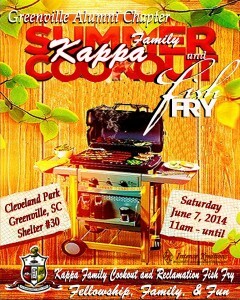 Come join us in our Annual Summer Cookout – Kappa Family and Fish Fry. 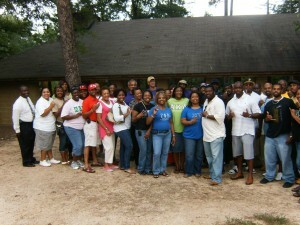 Fellowship, Family Fun and that Goode Olde Kappa Spirit! The Greenville (SC) Alumni Chapter and Kappa Lambda Chapter (Clemson University) Founders’ Day Banquet was held on Saturday, January 18, 2014. The One Hundred and Third Anniversary Banquet for Brothers Only was at The Greenville Commerce Club, 55 Beattie Place, 17th Floor One Liberty Square, Greenville, SC 29601. The reception started at 6:30 PM followed by the banquet at 7:30 PM. 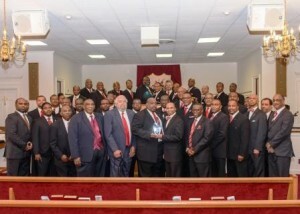 The keynote speaker for the occasion was Brother Ronald E. Range, Grand Board Member, Kappa Alpha Psi Fraternity, Inc.
On Sunday, January 27, 2013 the Brothers of Greenville (SC) Alumni Chapter of Kappa Alpha Psi Fraternity, Inc. celebrated Founders’ Day. The 102nd anniversary of Kappa Alpha Psi was held at Mount Zion Baptist Church. Our very own Brother Dr. Vardry A. Freeman, Pastor of Poplar Spring Missionary Baptist Church and the Southeastern Province Chaplain, was our guest speaker. The church service started at 10:00 A.M. with brothers presiding. Senior Kappa Brother Louie Golden led the brothers into the church to begin the morning service. Dinner was served immediately following service at Sam’s Restaurant. A section in the banquet room was reserved for us to fellowship together. A Bond Tightener was held in celebrating our Founders’ Day weekend. Brothers and guests were invited to a drop-in at Rhythm and Bluezz Old School Dance Bar. Are you ready for some football?! 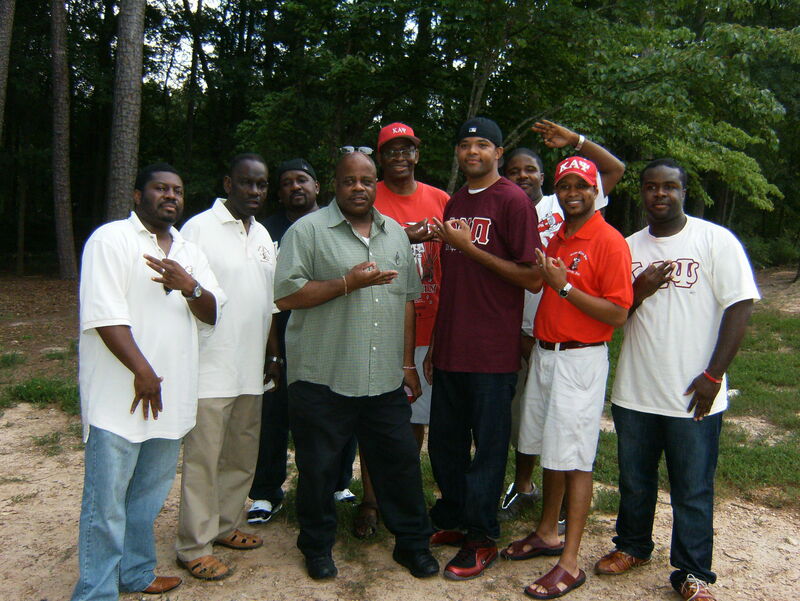 The brothers of the Greenville (S.C.) Alumni Chapter of Kappa Alpha Psi Fraternity, Inc. certainly are! Every Monday night, during the 2012 N.F.L. season, the brothers gather at On the Roxx in downtown Greenville for an evening of football, fellowship, and fun. Not only are these brothers committed to their respective teams, but they’re committed to making sure that a good time is had by all! 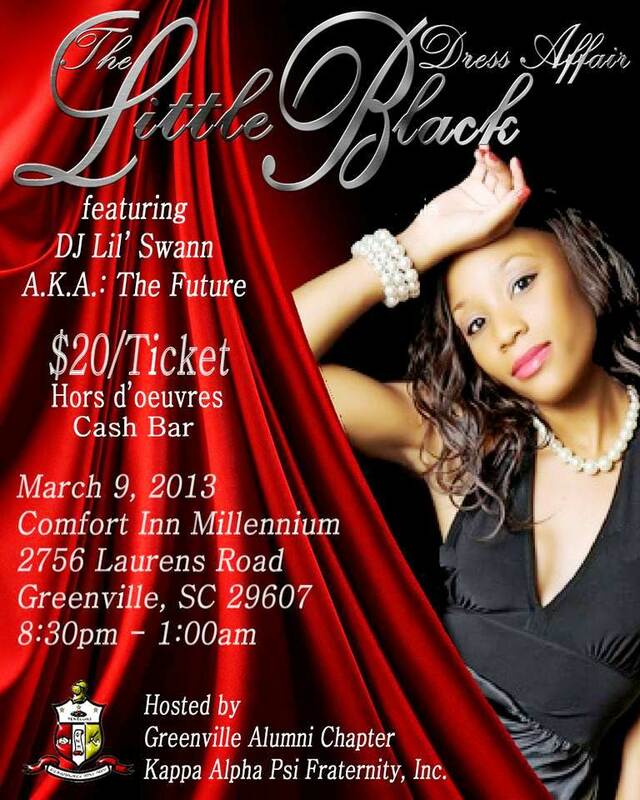 CLICK the photo to hear the Greenville (S.C.) Alumni Chapter Polemarch discuss the event. We would like to say THANK YOU to all who participated in the The Greenville (S.C.) Alumni Chapter’s 2nd Annual Krimson and Kream Golf Klassic. We still are accepting donations to support our scholarship program. We thank you for your support. Come out and join us on Friday, April 13, 2012, at Motowne on Main as we introduce Greenville’s newest KAPPA MEN. The brothers of the Greenville (S.C.) Alumni Chapter will have VIP seating. So come on out and CELEBRATE as only we can. All ladies who want to take advantage of “FREE ADMISSION” MUST arrive by 10:00 p.m.